Renting out your house can provide certain tax benefits. Although many people sell their houses when they move, that isn't your only option. You can also keep your house and rent it out. Renting out an investment property comes with certain tax implications both while you own it and when you choose to sell it. However, for many homeowners, the tax benefits might outweigh the drawbacks. The tax treatment of the sale of your home varies depending on whether it is your primary residence. If it's where you have lived for at least two of the past five years, it's considered your primary residence and you can shelter your first $250,000 of profit if you're single or $500,000 of profit (capital gains) if you're married from capital gains tax that would otherwise be due in the year that you sell the property. This exclusion would save a couple up to $100,000 if you're married and subject to the 20 percent capital gains rate. Renting it out could actually cost you a portion of your tax exclusion, because you can't always claim it against investment properties. On the other hand, if you can't claim the exclusion, renting out the home saves you from paying any taxes. If you have to sell your house at a loss, the Internal Revenue Service doesn't treat it as an investment. As such, it won't let you deduct the loss on your house from any other capital gains that you have in your stock portfolio. When you rent a house out, though, you get the tax benefit of any losses when you sell it, meaning that you can use them to offset other gains. When you rent out your house, your profits are taxable as regular income. Then again, if you're earning profit, you'll be coming out ahead after paying taxes. Furthermore, when your house is a rental, the IRS' rules on deductions are different. You can deduct every "ordinary and necessary" operating expense that you incur in owning the home, without any of the limitations that apply to itemized deductions. These include your mortgage interest, property tax, management fees, repairs, advertising, and even the cost of your mileage to and from the property when you inspect it. Furthermore, you can also write off a portion of your house's value as depreciation. 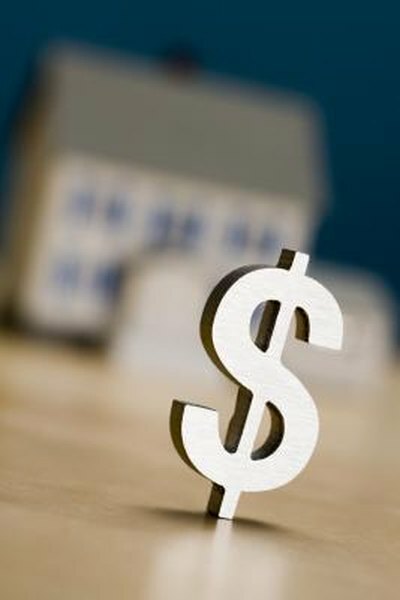 The depreciation write-off represents an approximation of your home's gradual depreciation. To find your yearly write-off a amount, divide the cost of your house and any improvements, less the portion of the cost that could be allocated to the land, by 27.5. You also are eligible to depreciate appliances and some other items used in a rental property on a different depreciation schedule. If you end up with a taxable loss, you might get some write-offs out of it. The IRS lets you deduct up to $25,000 of losses per year against your regular income, as long as your modified adjusted gross income is $100,000 or less. If you earn more than this, your write-off gets reduced by $1 for every $2 of excess income. Any loss that you can't take because you lost too much money on the property or you earned too much overall gets carried forward to the future, as well. When you turn your house into a rental, you may also get tax benefits when you sell. If you sell outright, the IRS charges capital gains taxes on your profits. It also charges a 25 percent depreciation recapture tax on any depreciation that you claimed that isn't reflected in the selling price. For example, if your cost in the rental is $250,000, you depreciated it down to $130,000, and you sell it for $300,000, you'd have to pay capital gains tax on the $50,000 profit and depreciation recapture tax on the $120,000 in depreciation that you claimed . On the other hand, if you sold it for $175,000, you'd have a $75,000 capital loss, but still have to pay recapture tax on the $45,000 difference between the depreciated value and the selling price. You can get out of paying these taxes, though. If you decide to use the proceeds from the sale of the house to buy another investment property, you can also structure the transaction as a tax-deferred exchange. When you do this, you carry your cost basis forward and put off paying the capital gains and depreciation recapture taxes until you eventually sell off your rental property for cash. For many investors, this is one of the biggest benefits of owning rentals.